In the weeks before their wedding, Liza and Aj had a first look together at Cactus and Tropicals in Salt Lake City, Utah. 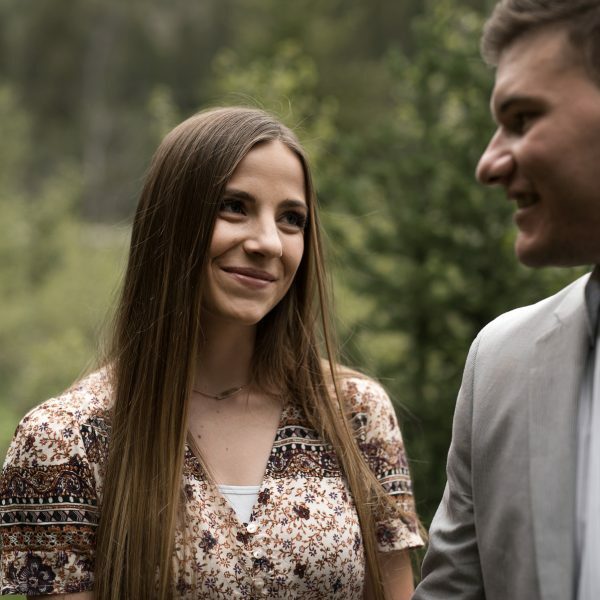 Since they would soon be married in Red Butte Gardens Arboretum, the greenhouse was very fitting for a similar vibe that still offered quite a bit of variety. We started with a first look near the colorful potted plants until their family brought their dogs for some quick family portraits of the four of them. Their dogs had darling floral collars made by the talented Mayflowers Floral Design (something I highly recommend if your pups are in the wedding) and they did so well by their side. It’s becoming a common trend for couples to bring their dogs to their weddings and portrait sessions and it’s something we’ve really grown to love. They’re part of your family too, why not bring all your loved ones to celebrate with you?